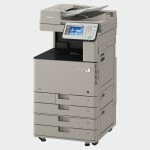 Photocopier Warehouse — Why choose us ? Established over 30 years ago, Photocopier Warehouse has built its success on two core values: service excellence and first class customer care. 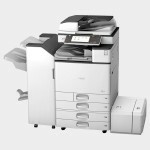 We offer copier leasing and photocopier rental from a comprehensive range of the very best photocopiers for sale so if there is a specific make and model that you need to discuss, or if you would like to discuss additional solutions such as managed print services and document management solutions then call us on 0800 526716 to speak with one of our sales team. If however you a need a quick and easy price based on your specific requirements then complete the get a quote now form now and we will email a quotation to you within 2 hours. 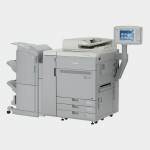 Which copier is best for me? 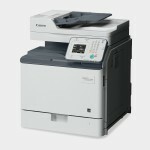 Leasing a photocopier, is it a good idea? Should I purchase or lease a photocopier? Why not to choose Canon copiers? Do I need a digital multifunction printer? Do I really need a colour photocopier? Photocopier service do′s and don’ts. 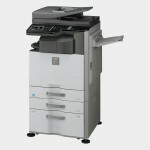 Used photocopiers - why buy one? Our sales staff are all experts who will help you choose the right digital photocopier or multifunction printer copiers to meet your specific needs. Our friendly team of advisors offer impartial and detailed advice on all aspects of the latest office photocopiers and printers. We supply and service Canon Copiers, Ricoh Copiers, HP Multifunction Printers, Xerox Printers and Colour Photocopiers from other market leaders including Oki and Kyocera. As an independent supplier we select only the very best technology, we constantly evaluate and update our "best buys" recommendations to ensure that the copiers and multifunction printers we supply you offer the very best value for your money. Photocopier Warehouse has been servicing office copiers for over 25 years so we must be doing something right. We provide onsite copier support, copier repairs and managed print services for HP, Canon, Ricoh, Sharp and Xerox products. All our engineers are fully trained and we are totally committed to giving you first class service. We provide as standard a 4-hour response time and our experienced team of service engineers ensure that we service your photocopier in accordance with the photocopier manufacturers servicing levels. All our service agreements cover parts labour and toner and we offer a 3 year warranty on all new models. Established in 1987, we have built our success on two core values: product independence and customer service. Our expertise lies in providing expert advice to help you select the right copier so whether you are looking for a multifunction printer or a colour copier for your office, you can rely on friendly, independent advice from our expert copier sales consultants. You can expect straight talk and honest answers from people who are passionate about service and customer care -after all what makes one supplier better than the others - good service, customers pay wages and we never forget that simple fact. To get further information please call or email us, - we are always very happy to help.